Latcho and Andrea have an infectious energy, both in their music and through their interactions with those they encounter. It is clear even before hearing them play that they are soulful, intuitive, creative, talented, and can read one another like magic. Latcho and Andrea are incredibly passionate about performing their music; they share with me their inspiration behind their unique and sultry sound, the way they work as a duo, and what kind of style of music they enjoy sharing. As they get ready to begin performing regularly again in Sayulita, it is exciting to hear about the irresistible, fun, culturally relevant, and engaging music they create to share with our community. Latcho and Andrea- First of all, how do you know each other? Latcho: We met at a touring theater show where I performed as a fire eater and Andrea was a dancer. Wow! What a great way to meet. Where are you both originally from, and when did you decide to come to Sayulita? We are both from Germany. Our first stay in Sayulita was during our first vacation at the Nayarit coast back in the eighties, when Sayulita was still an undiscovered dreamy little village. The overwhelming beauty of the wild beaches of Bahia de Banderas and the surroundings were the magnets that made us want to move here. Where does your inspiration for your music come from, and what is your background experience or training? We both individually became inspired by Manitas de Plata (Little Hands of Silver) who was an eccentric charismatic Gypsy Guitarist and uncle of the “Gipsy Kings”, before we even met. Manitas de Plata, together with José Reyes, (father of the “Gipsy Kings”) was the first flamenco artist to become famous in Europe and the U.S. and the first to perform in the U.S.
Latcho: I was hit by the Flamenco virus as a very young man when I came across the records (vinyls) of Manitas de Plata; I knew right away that this was what I wanted to do! With this new passion of mine I was pretty much an outsider among all the rock and folk music that was around me in the early seventies. The only way to learn to play the guitar like this was to travel to southern France and Spain, which I did by hitchhiking from the Danish border with virtually no money, but a heart full of fascination. I lived among the Gypsies and absorbed their way of life, playing the guitar, singing and partying. I also spent time living in Granada and Seville, Spain, where I found the old traditional style of Flamenco, and then in Southern France in Les Saintes Maries de la Mer, where Gypsies from all over Europe gather every year in May to worship their Patron Saint “Sainte Sara”. In the streets of Les Saintes Maries de la Mer I met the young Reyes brothers, who later became the world famous “Gipsy Kings”, and of course I met Manitas de Plata, my initial ignition for this wild music, with its earthy, primal, groove. I absorbed their way of playing and living. A cousin of the “Gipsy Kings”, Antonico Reyes, became a member of my legendary Flamenco Band “Lailo”. 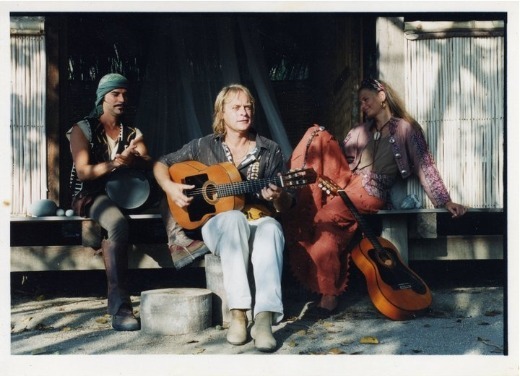 So from my earliest youth Gypsy music became the center of my life. 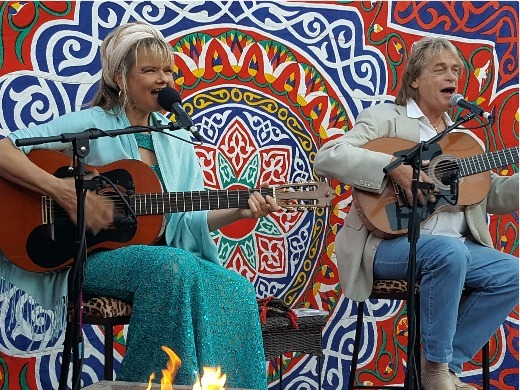 Later, when Andrea and I were living in Munich, many Gypsy bands, including some of the “Gipsy Kings” brothers frequently came to visit when on tour, and we had fantastic sessions around the campfire, way beyond the usual concert experience. Andrea: Having been fascinated by Gypsy Flamenco and Manitas de Plata since my teenage years, I was overwhelmed to experience my favorite music played by the best of the original authentic musicians just right in front of my eyes. I inevitably also learned to play the guitar. How/why did you decide to become partners in music? At our very first “performance” together at a tiny private party, (Andrea was a total beginner) we instantly realized how the chemistry between us while playing was contagious. Thus, our potential of performing as a duo became an attractive option. Then, there was the moment when we wanted to move to Mexico, and this was also the moment we decided to become partners in music on stage. How would you describe your style as a duo? Latcho: With Andrea accompanying my lead guitar in a very percussive style of rhythm guitar and castanets, we play and sing a gypsy-flamenco style of music which brings you the flavors of Spain, along with passion and romance. Two guitars and two voices are our tools to create a genuine, natural, and complex sound without any artificial rhythm machines or backing tracks. Thus, it is pure and straight from the heart, filled with love and always tailored to the very moment. From elegant, romantic instrumentals, and love songs to happy, upbeat dance music, in the “Gipsy Kings” style, everything is possible. 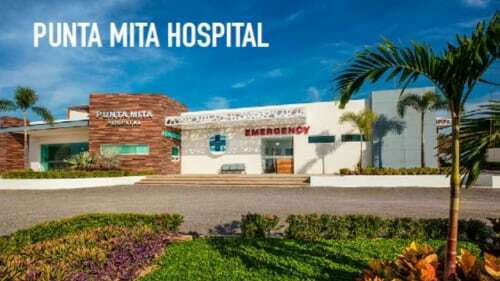 What types of events have you played for, and what kind of events can people hire you for here in Sayulita? We have played a vast variety of events: concerts, private dinners, anniversaries, weddings, rehearsal dinners, corporate events, etc. We have been hired as a surprise gift for birthday parties and anniversaries, etc. Once we were hired to serenade a massage session for a lady on her yacht where she just had landed in her helicopter. We have done yacht parties of all kinds. Really we can do anything from the most intimate concert, like serenading one couple alone, to whatever you can imagine that can be enhanced with music. We love what we do, and our experience is vast. 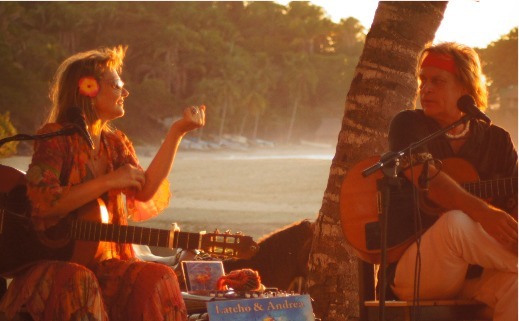 The natural beauty of Sayulita and our music just go together so perfectly well. Nothing says “celebration” like Spanish guitar—playing music that reflects the joy of the moment, and bringing people together in a way that only music can. If you had to describe your sound in six words or phrases, what would you choose? Anything else you wish to share with readers? 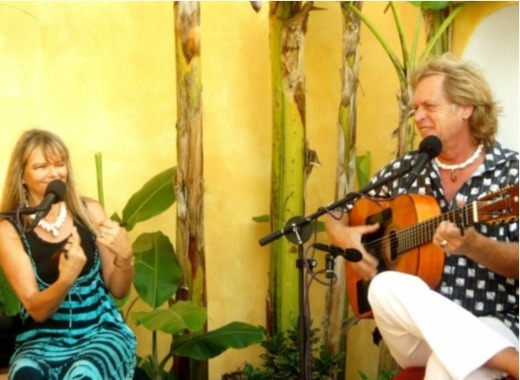 Starting in early November, people can find us performing on Thursday evenings at Don Pedro's Restaurant in Sayulita. 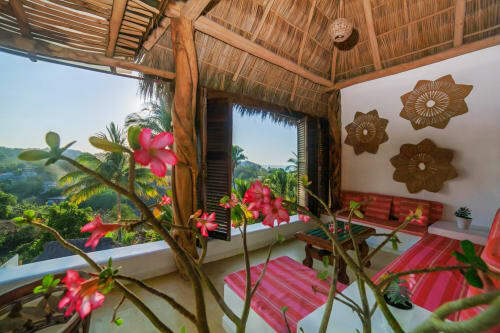 For more info please visit our Sayulita Life Page as well as our personal website.